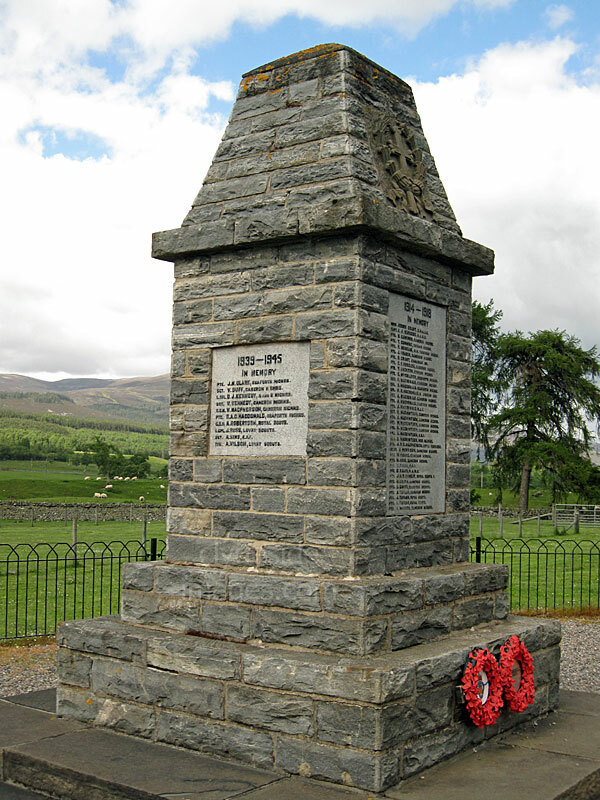 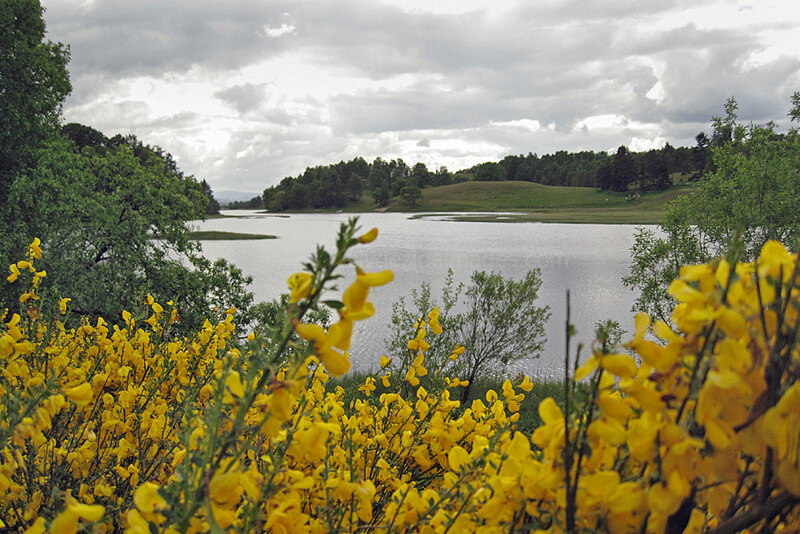 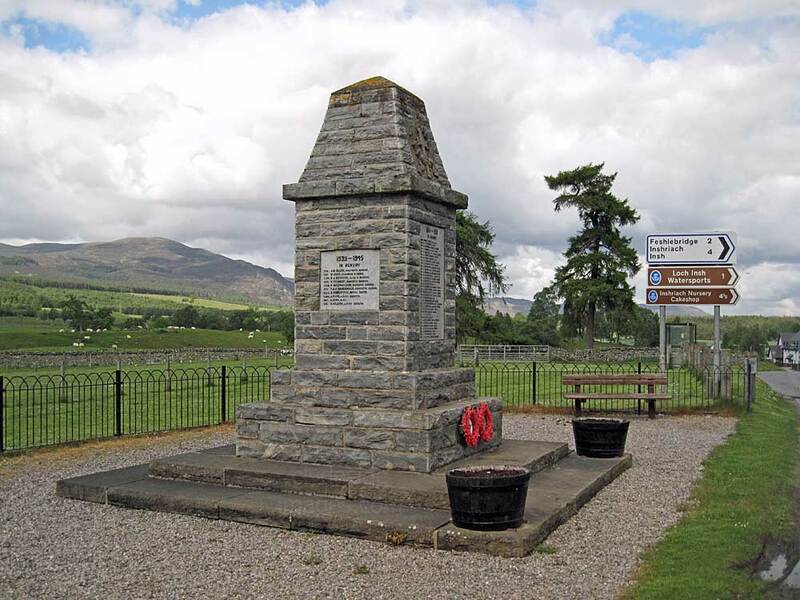 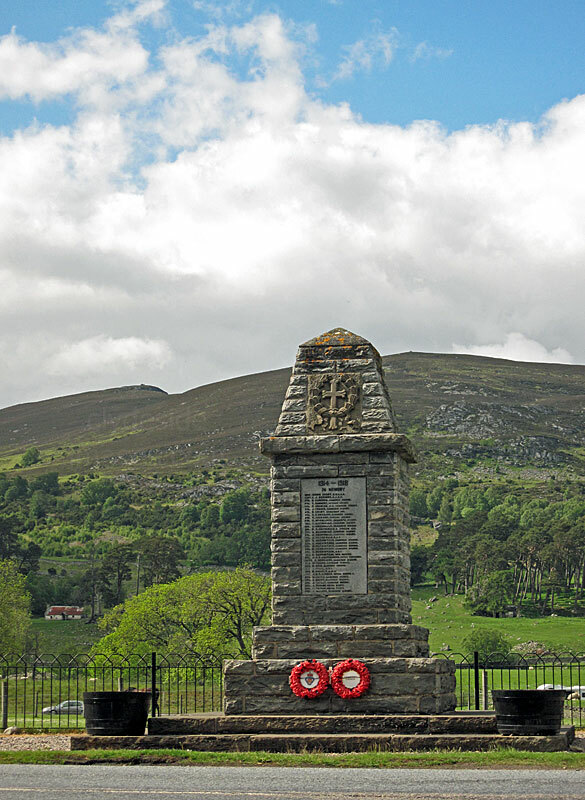 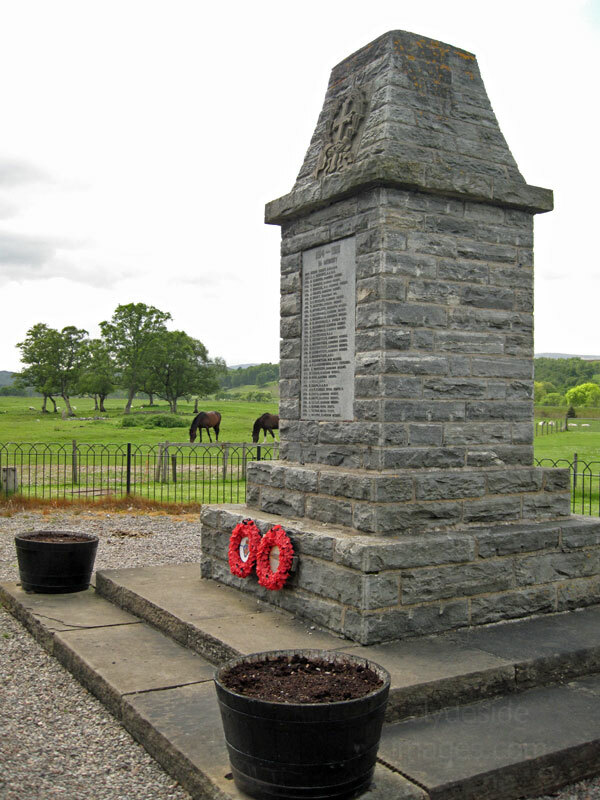 Also known as the Alvie Parish Memorial, Kincraig, this memorial stands beside the B9152 opposite the kirk, at the junction of the minor road leading to Loch Insh. 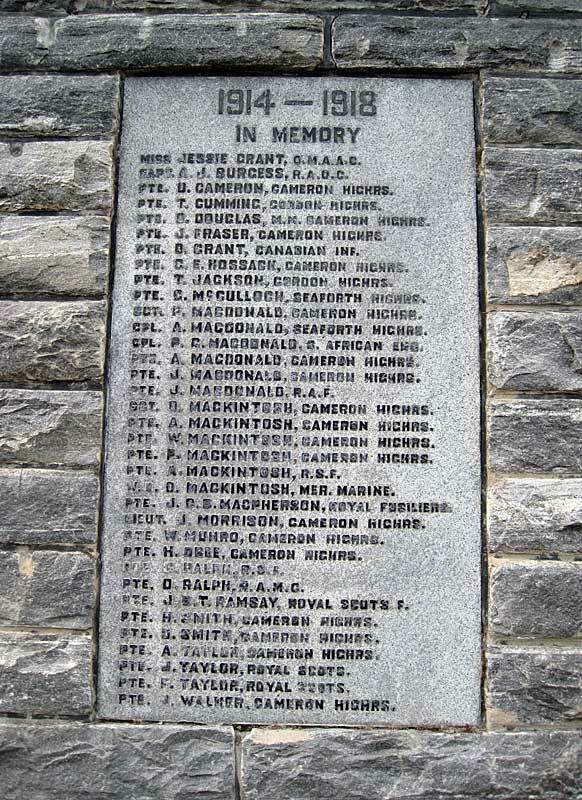 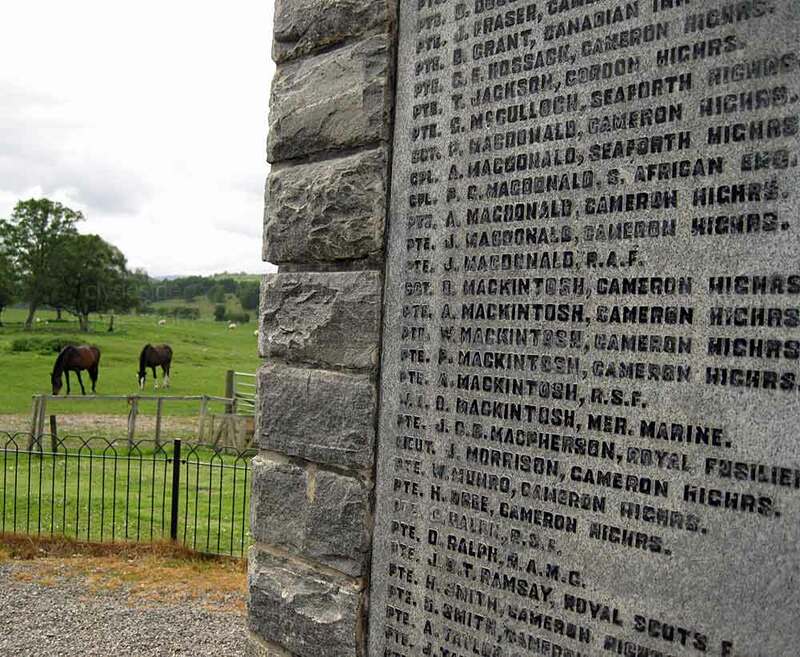 The memorial honours local men and one woman who gave their lives in the Great War. 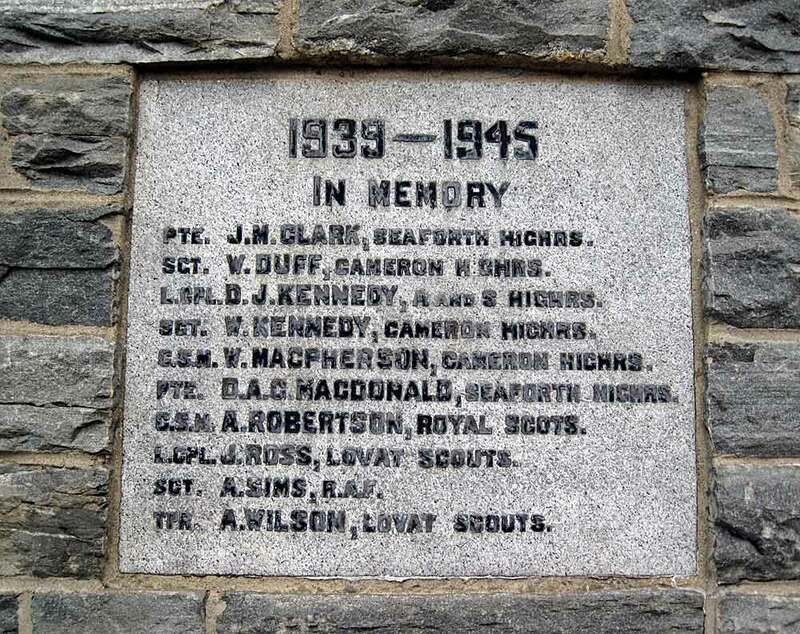 An additional panel was added to commemorate those from the parish who fell in World War 2.